Visiting a foreign country doesn’t feel complete without trying local delicacies. 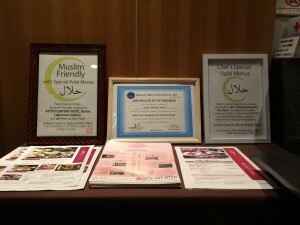 But for us muslims, finding a halal local restaurant especially in Japan can be pretty difficult. I myself have always wanted to taste ramen, the popular noodle dish of Japan, but couldn’t find a halal one until now. 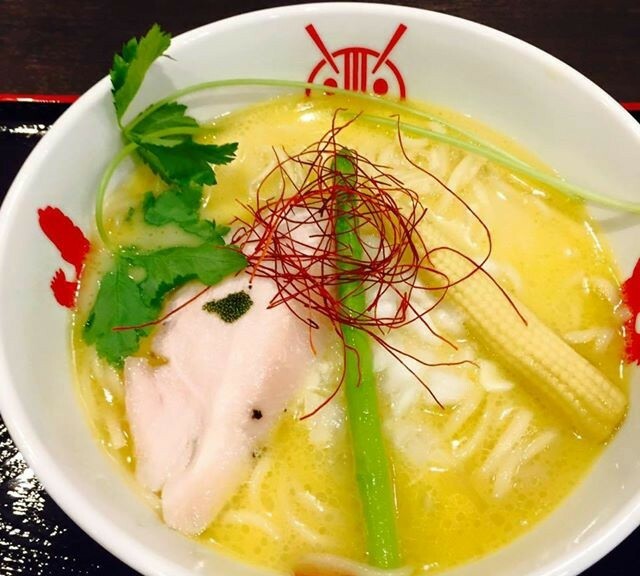 That’s why I was very happy to know about Ayam-ya, the halal ramen shop located not far from Kyoto station. Since it’s still new, not many people in the neighborhood know about this shop, but if you follow the map in their facebook page, it’s actually not that difficult to find the place. They serve several ramen menus, and the one I tried was ramen with thick broth. It was delicious, I promised myself to comeback to try different menu. What make me even happier is that they provide prayer’s room (meditation room), completed with a place for ablution. Now, I don’t have to feel worry about what to eat and where to do my prayer when visiting Kyoto station area. I hope their business goes well so that this shop will always be there for muslim visitors. 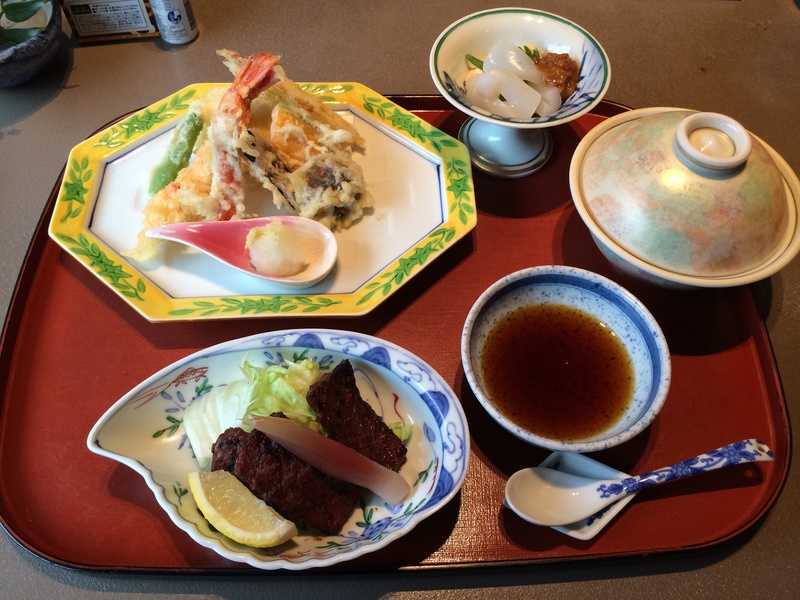 The restaurant is deep east in the Maruyama Park which is a park of Gion and this is a typical restaurant of Kyoto. We can eat food in restful atmosphere with viewing the Japanese garden. The meals are Kyoto cusine and are made use of the taste of the material.And the taste is typical Kyoto cusine which is simple. In addition, we have been particular about tableware. 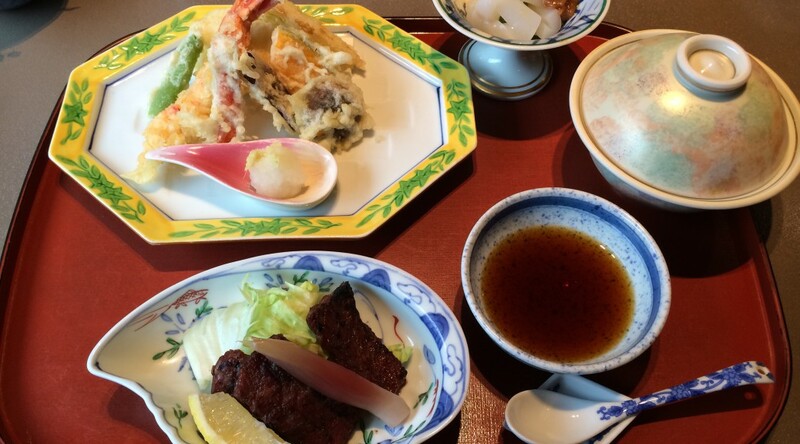 We can enjoy eating with relaxing in great atmosphere which is typical Japan and Kyoto. 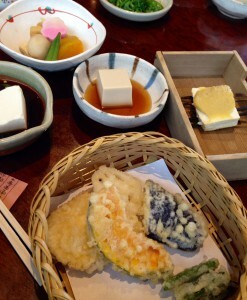 I knew that Kyoto is very famous with its yudofu or boiled tofu. As tofu is made from soybean, so I think it is already halal. 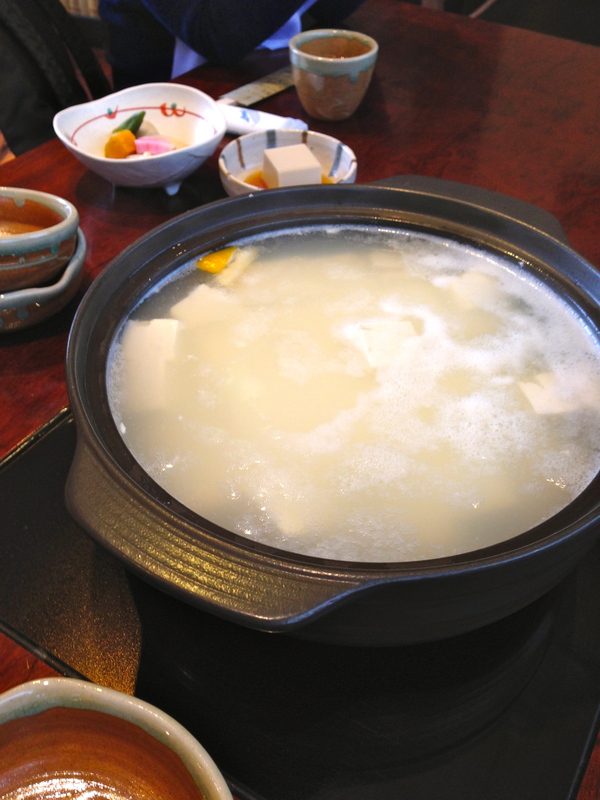 However, when serving yudofu, Japanese using mirin/alcohol for seasoning which we (Muslims) cannot consume. But, Junsei Okabe-ya provides halal yudofu which is very safe for Muslim as they do not use mirin. Don’t worry about the taste, there is no different from the original ones. 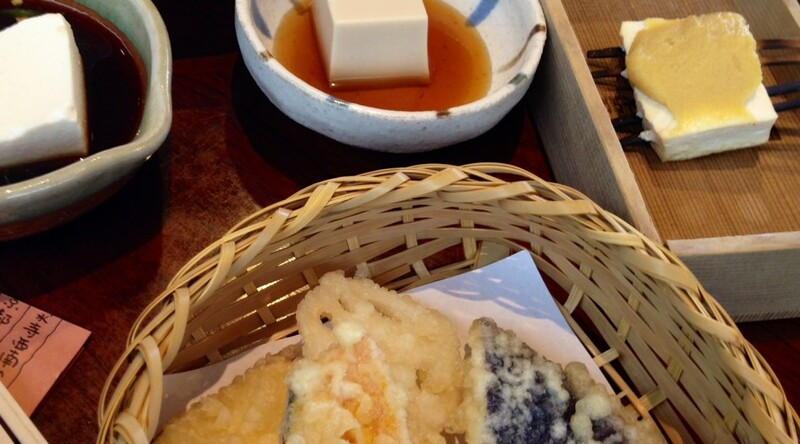 There are various kind of tofu and also another menu such as tempura etc. It was so delicious! 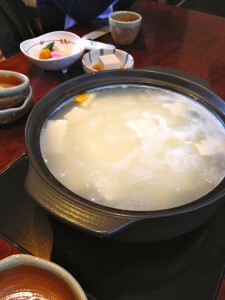 The tofu was very delicate and halal soysauce has ‘yasashii aji’ o friendly taste which represent Japanese friendliness. I really appreciate how Japanese concern to the Muslim tourists, it is Japanese omotenashi that welcome Muslims and make us feel safe and enjoy the food without any hesitation. Halal food in Japan? Yes, as a country with a majority population of Shinto and Buddhism, it is not easy to find halal food in Japan. I become more interested. 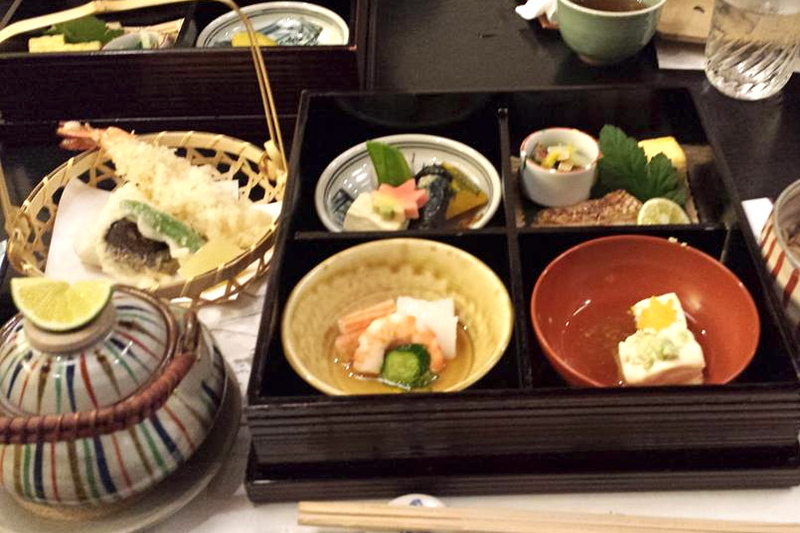 Moreover, the restaurant serves Japanese food. So it’s not a restaurant Indonesian, Arabic, or Indian, which exists also in Japan….